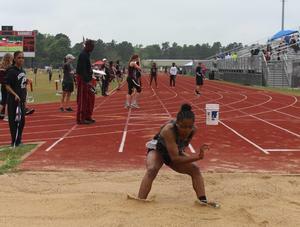 The 2019 UIL 23AAA District Track Meet was hosted at Trojan Stadium on Friday and Saturday, April 5-6, with a total of seven school districts participating. Our Trojans Varsity team won the District Championship, placing 1st in six events. The Lady Trojans came in 3rd overall, with three 1st place finishes. Way to go! Events started in the fog Friday morning, but the fog eventually blew off. Saturday morning got off to a bumpier start with a rain delay, but events eventually got underway, with great results for our COHS teams and individuals. The Trojans Varsity team won the District Championship with six 1st place finishes, including Curtis Parker in the 100 and 400 meter events, and the team of Jared Curry, Darvin Lynn, Curtis Parker and Logan Kuehn in the 4x400 Relay. The JV team took 2nd place, placing 1st in five events. 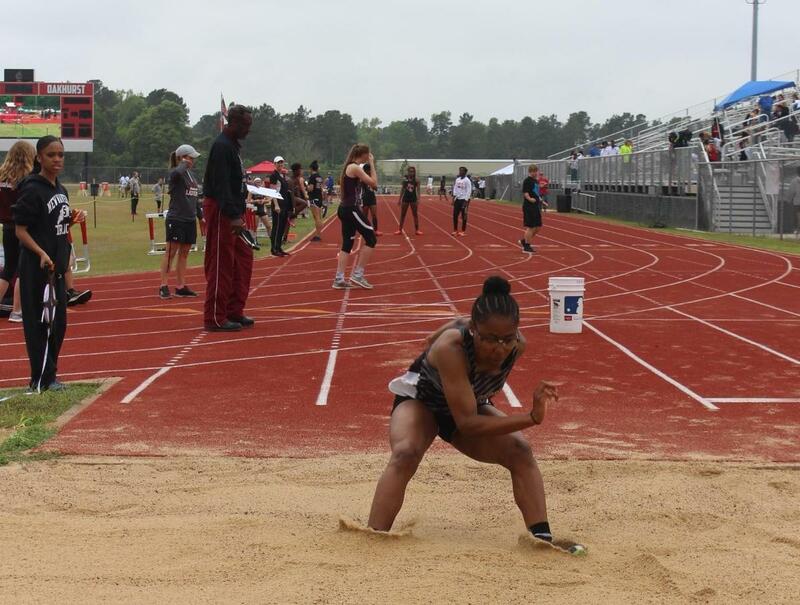 Our Lady Trojans came in 3rd place in District, placing first in three events, including Daneshia Harris in the 100 Meter, Quin'Ta "Pinkie" Montgomery-Miller in the 300m 30" Hurdles, and the team of Tyra Hightower, Daneshia Harris, Quin'Ta "Pinkie" Montgomery-Miller and Alexis Chandler in the 4x100 Relay. Way to go!